Ever wanted to go live on Facebook, but you had no idea who to talk to or what to say? 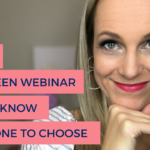 Are you intrigued by the live broadcasts you see other people do, but you wonder how you could use it to grow your business? Do you want to go live, but you wish you had someone to help you put together the perfect broadcast before hitting the ‘go live’ button. I get it, it’s scary to have to learn while you’re broadcasting live in front of thousands of people. Well, you’re in luck because today I’m going to share with you, my 3 step Facebook Live Superstar Broadcasting Blueprint. 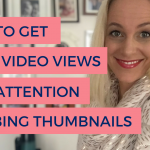 This is the exact blueprint I have used to do more than 20 live broadcasts since Facebook launched Facebook live in April! And I’ll be sharing that for the first time right here with you today. The ideal broadcast is divided into 3 parts. I call these parts: Your Powerful Opening, Your Superstar Performance, and the Grand Finale! Yes, just like in showbiz!! Your Powerful opening is about grabbing your viewers’ attention! Tell them what you’ll be talking about and most importantly why it matters to them. Then briefly introduce yourself and your business so the newbies know who you are. Keep in mind that on Facebook you can lose up to half of your viewers in the first 10 seconds so make your opening count. Next, move on to Your Superstar Performance. This is really where you share your valuable content with your audience. But we’re not going to data dump and leave, we first need to provide a bit of context. So tell them a story of why this matters to you, or use a metaphor that they can easily understand, give them a quote that sums up what you’ll be talking about, or use a shocking stat that gets them to perk up their ears. Now deliver 3-5 (no more than that) actionable, practical points with good examples of each one. They have to be able to go away and implement those 3-5 things straight away. Fabulous, you’re ready to wrap it up! You Grand Finale is all about continuing the relationship with your viewers. Give your viewers a clear and specific call to action. Tell them exactly where to click, why they want to click there and what they’ll get when they click there. Ask them to share a comment, a thought or a question with you. Ask them to share your video. If you want people to share, you have to ask for it. Now tell them when you’ll be back. Remember, just like on any other social media platform the key to success is consistency! 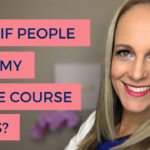 And finally, scroll back and read the comments and the questions out loud, answer the questions and build relationships with the people who showed up for your video live. Keep in mind, there are going to be more people watching the replay of your video so make it clear to the replay viewers that you have come to the end of your content delivery. The Grand Finale really is about getting people off of the video and on to some other place where you can build a relationship with them and it’s also about building a relationship with the people who are there with you in the moment. There you have it! My not so secret Facebook Live Broadcasting Superstar Blueprint. To help you get started, I have turned the Facebook Live Superstar Broadcasting Blueprint into a PDF that you can download, print and use as a guide when you go live. 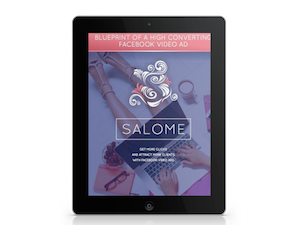 Click on the button below this video and get your free Facebook Live Superstar Broadcasting Blueprint today. I’d love to hear your comments and questions so share them below. Thank you for watching, if you loved this video, please share it with your peeps so they can get started using Facebook Live too. Remember, that you are the only one who shines your brand of light, and this is your time to shine!